So as you know, a couple of weeks ago, I took a winter trip to Virginia Beach. If you follow me on Facebook, you will also know that I literally spent an entire day going to posh kitchen supply and grocery stores. While you are perusing around these establishments, you can bet your bottom dollar that you will be surrounded by all sorts of delectable delights. 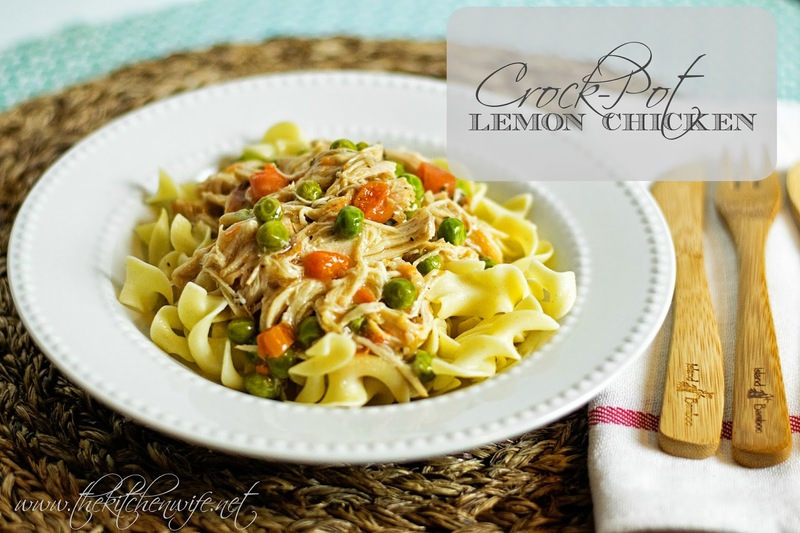 It was at one such place that I first tried this Crock-Pot Lemon Chicken. Yes, I walked in the door of this well known kitchen supply store, to be greeted by the cutest little sales rep you have ever seen, asking me if I would like to sample it. Of course I did, and I thought "WOW! This is really good!" She could see the obvious pleasure on my face and says to me "It's so easy! All you have to do is pour this sauce over frozen chicken in your slow cooker and Viola! DINNER!" My first instinct was "Yes, yes I WILL purchase this!" Then I looked at the price. TWENTY DOLLARS FOR ONE JAR OF SAUCE!!!! WHAT!?! No way was I paying that for GRAVY. That's when I flipped the jar over, looked at the ingredients, and thought "Oh yeah, I can TOTALLY make that!" So here it is! My version of this Crock-Pot Lemon Chicken. It is super easy, very flavorful, and I PROMISE it will cost you under $10 to feed 6-8 people TOTAL! You are going to love it, so let's get started! To begin, place a sauce pot over a medium/high heat. Add the oil to the pan and allow it to get hot. Add the sliced carrots and cook until they begin to get tender. And thyme to the vegetables. Allow them to cook with the vegetables for one to two minutes. This is one of my favorite short cuts in the kitchen these days. It is a low sodium, gluten free chicken base. Of course I would rather have homemade stock, but if you don't this is a great inexpensive alternative. Add the base to a measuring cup. 1 tsp to every 1 cup of water. Next add the corn starch. Now add cold water and mix together and make a slurry. This will be the thickener to your gravy. Okay, back to the vegetables. Bring to a simmer and let it reduce by half. Now it is time to add the slurry that you made with the chicken stock and corn starch. Bring it back to a simmer and allow it to thicken. 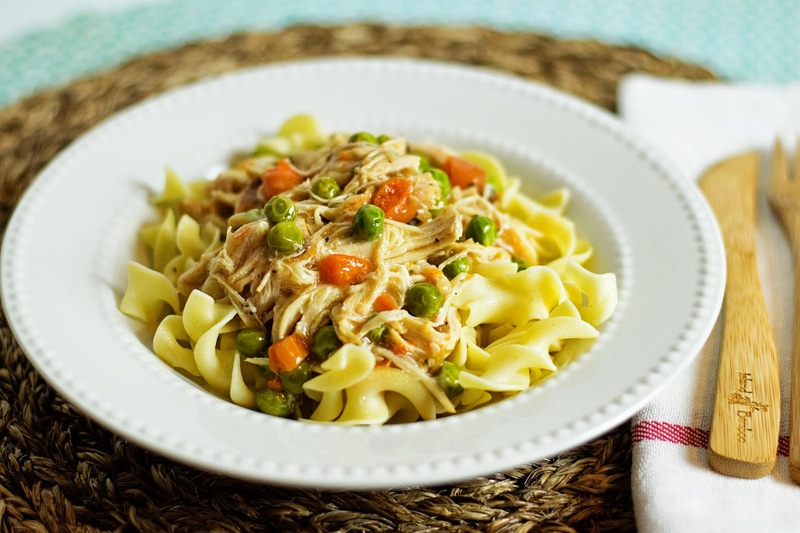 Now place the frozen or thawed chicken into your slow cooker. Turn on HIGH for 4 hours or LOW for 8. After the cooking time has passed, remove the chicken from the sauce and shred it using two forks. Now you can let the peas heat through while you put a pot of egg noodles on to cook. A delicious, quick, and easy weeknight meat that practically cooks itself. And you know what else? IT WON'T COST YOU TWENTY DOLLARS! So if you are looking for something to make on your Hump Day, give this Crock-Pot Lemon Chicken a try! Add the salt, pepper, and thyme. Allow to cook with the vegetables while you make the slurry for the sauce. For the slurry combine the chicken stock and corn starch. Stir until smooth. To the vegetables add the wine and lemon juice. Bring to a simmer and let reduce by half. Add the slurry to the vegetables. Bring back up to a simmer and let thicken. Place the chicken into the slow cooker and pour the lemon gravy over it. Place the lid on the slow cooker and turn to high for 4 hours or low for 8 hours. After your chosen cooking time, remove the chicken from the sauce and, using two forks, shred the chicken. Return the chicken to the sauce and add the frozen peas. Allow the peas to heat through.